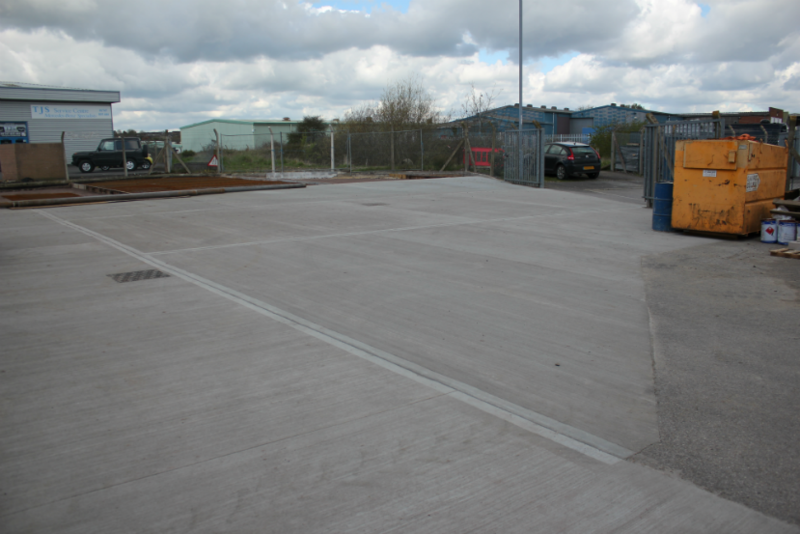 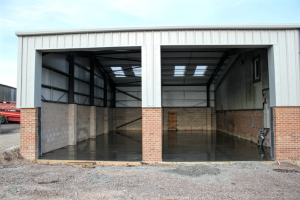 The company has vast experience in Concreting & Concrete finishing. 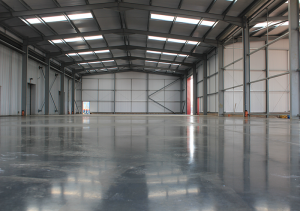 From large Industrial power floated floors to intricate coloured pattern concrete. 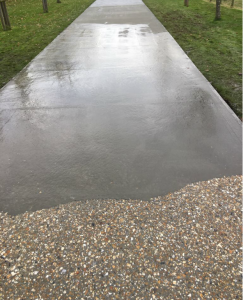 There are many different options when it comes to concrete finishes which would be considered depending on application. 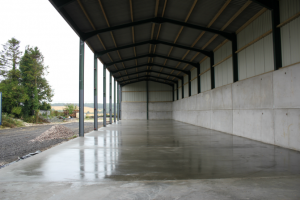 There are many types of concrete finishes available. 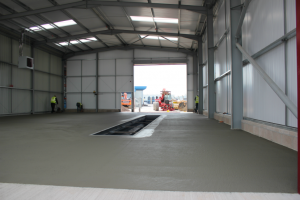 To name a few examples are patterned concrete, silver and smooth float finishing, all types of tamped finishes and deep ribbed finishing are specified dependant on application. 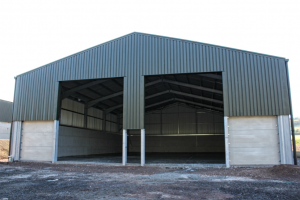 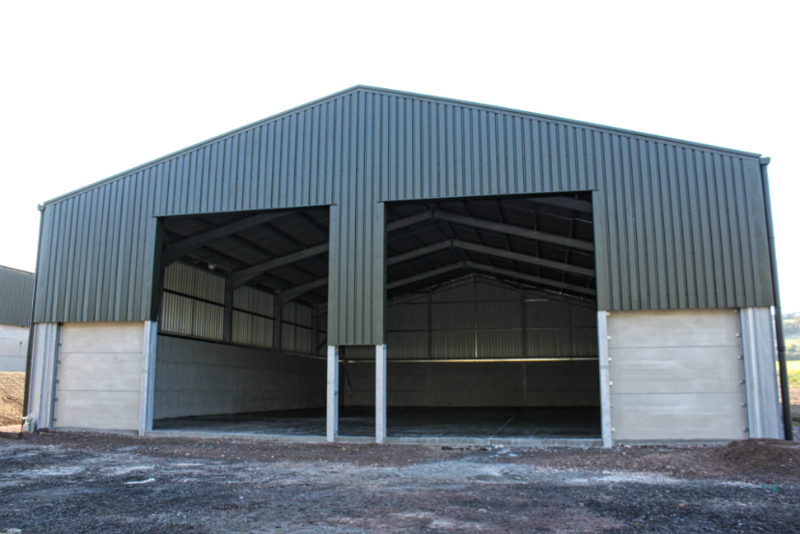 Typical applications would be for heavy and light industrial units, commercial and residential entrances, warehouses, grain stores, cattle housing and outside yard areas. 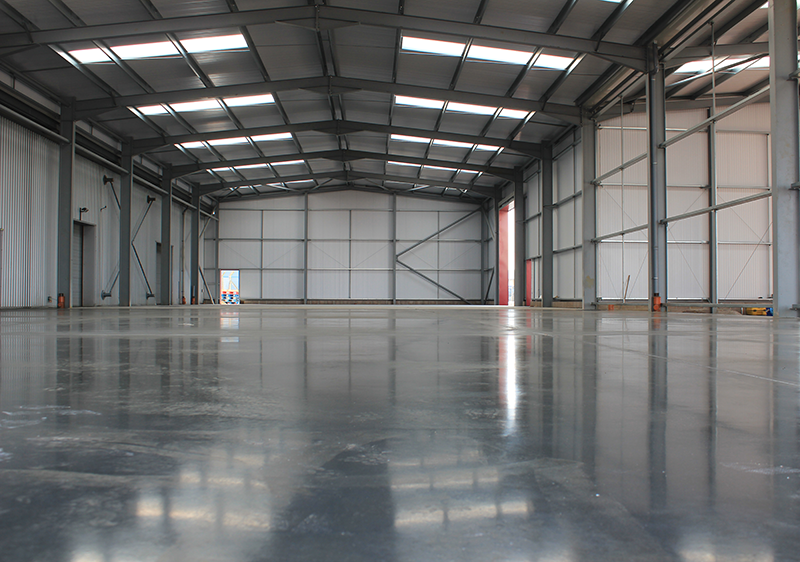 An additional finish that is common for industrial buildings is the power floated finish. 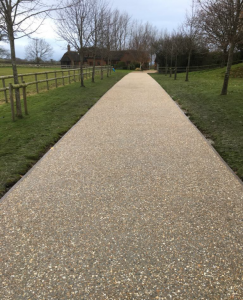 This extremely versatile finish can only be achieved with considerable surface treatment which is achieved by our highly skilled operatives. 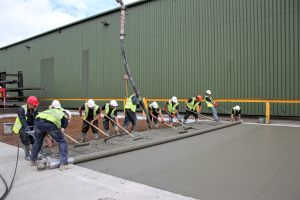 Within our company we own and operate all of our equipment to provide this service to our customers. 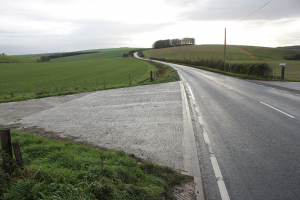 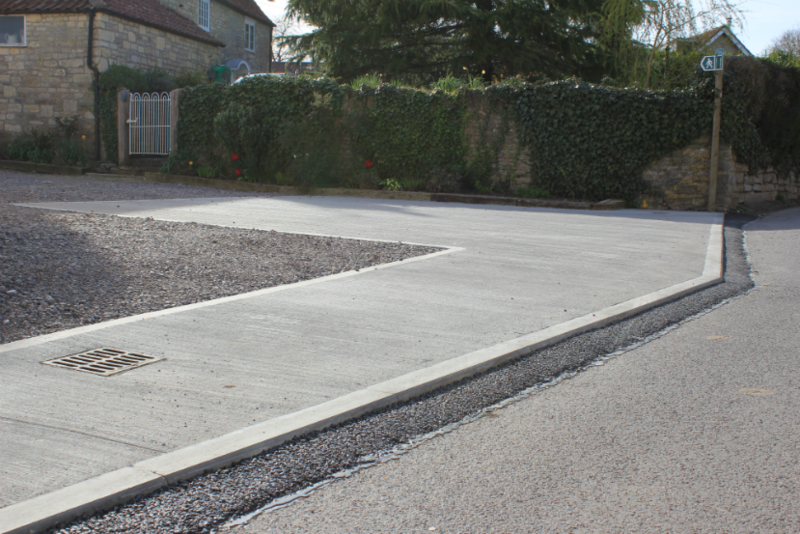 After being approached by a customer to provide a product that would suit period properties, we researched and invested in the processes to create washed concrete. 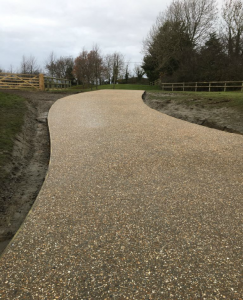 This surface finish is becoming increasingly popular and is a far superior product to resin bound gravel in terms of durability and longevity. 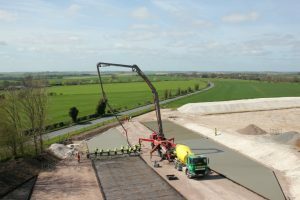 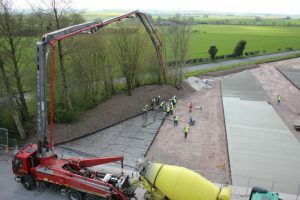 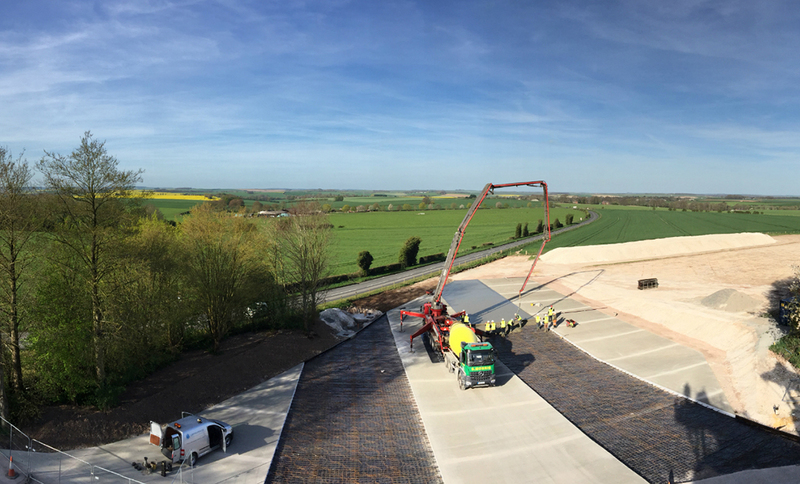 After years of experience laying large industrial concrete floors we diversified and invested in patterned concrete, expanding our domestic portfolio. 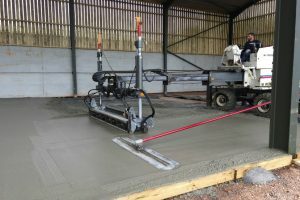 This type of surface is far more hard wearing and durable to many of its competitors. 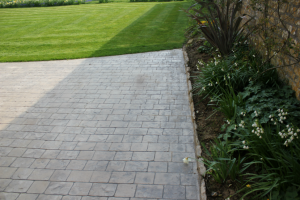 It is well suited for driveways, patios and hard landscaping areas. 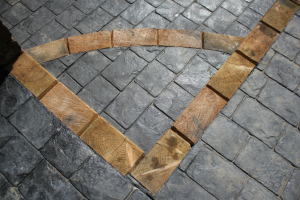 Above are a couple examples of different patterns available in pattern concrete. 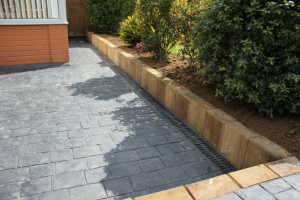 These can be coloured to individual requirements. 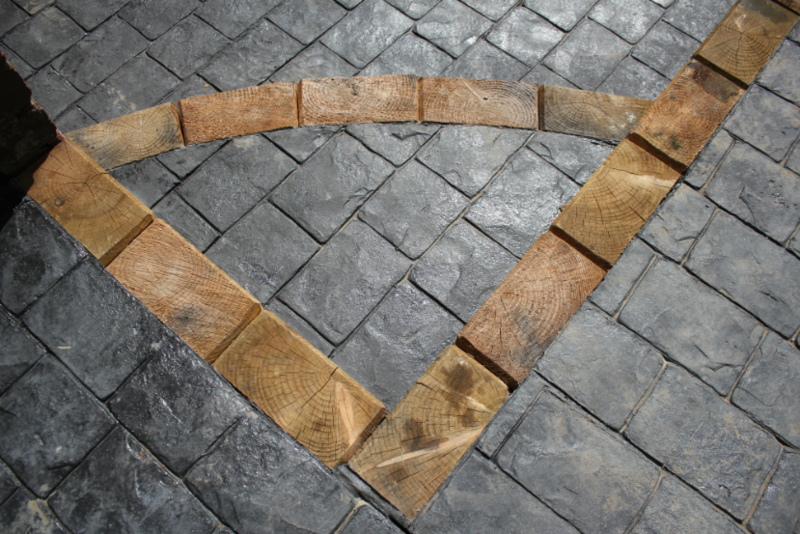 Although these are formed from concrete, the finish provides a natural look. 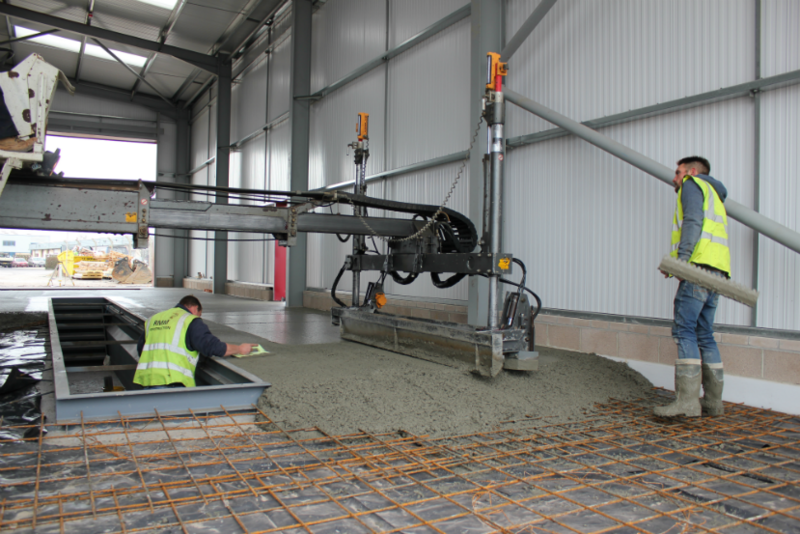 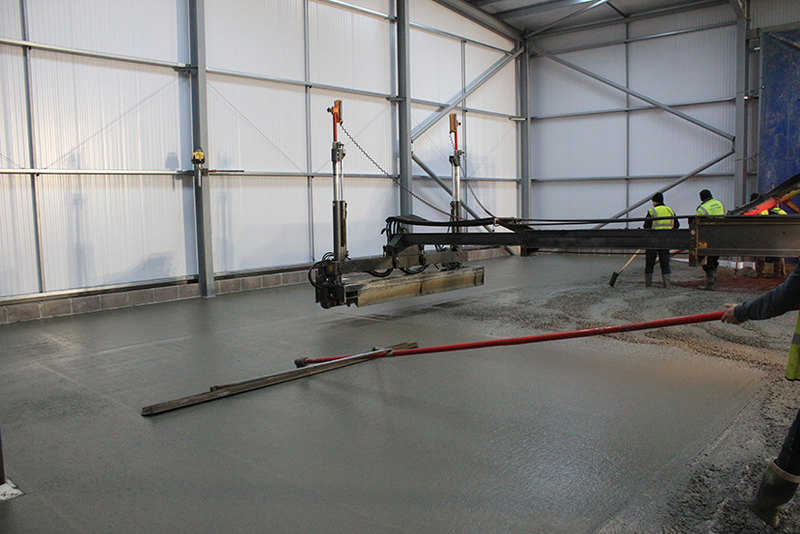 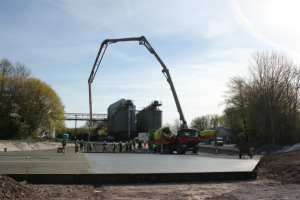 To enable us to achieve fine tolerance finishes on large areas and floors, we operate a Somero laser screed machine. 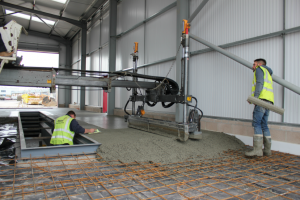 This machine operates with laser levels and therefore can lay large areas of concrete within the fine tolerance of laser levels. 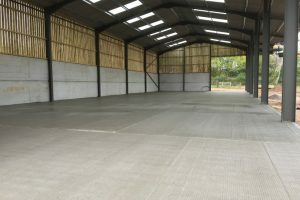 To compliment this we also offer a variety of surface treatments including power floating, silver float and ribbed finish along with sealants for protection.